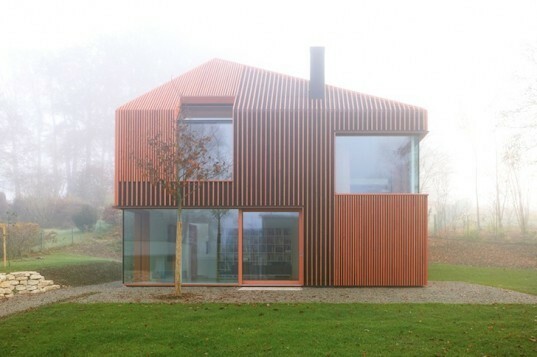 Don't be fooled by this beautiful German prefab's rather boring name - the home itself is anything but! 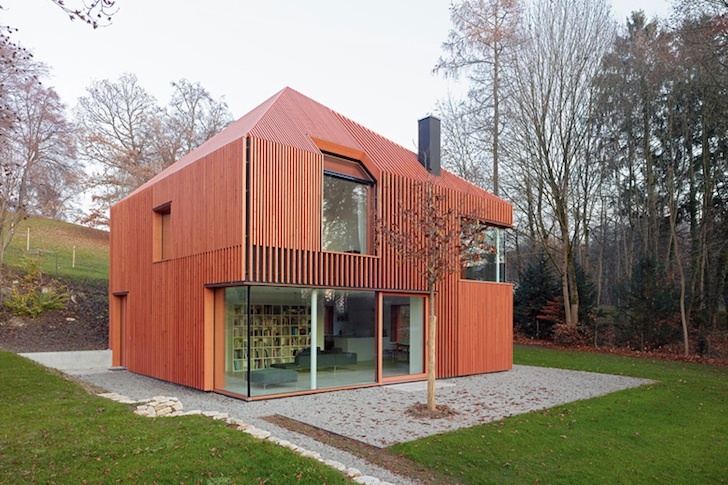 Designed by Titus Bernhard Architects and named 11x11 after its square dimensions, the Munich structure is comprised of a wooden frame and roof that were both pre-made in a factory and then constructed on site. 11×11 is clad in vertical laminated wooden slats that extend to the roof. The same material is used to frame the deep-set windows which bend over eaves and wrap around corners, funneling enough daylight into the single family residence to ensure not a watt of energy is required to illuminate the home during the day. Inside, the ground floor acts as a basement. The second open-plan floor houses the dining and living areas, while the top floor accommodates the bedrooms and study. As part of their effort to minimize construction waste and material use, the designers opted for “homogenous” materials, but this has not altered the home’s aesthetic appeal one bit. Thanks to the windows and strategic orientation, this home is absolutely gushing natural light.